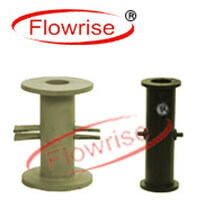 We are considered as leading manufacturer, supplier and exporter of the spare pinch valve sleeve. We have focused organization to make available high quality pinch valves and sleeves. In order to maintain proper functioning of the pinch valves, sleeves of valves must be changed periodically. So to obtain accurate shut off of the valves, high quality sleeves are necessary. It also lessen the maintenance of the valve and ensures proper performance.